Griffith Park, an oasis in the sprawling Los Angeles metropolis, is where I go to escape into nature—and these days, I often take my 2-year-old grandson Eamon along. We recently found ourselves on a secluded path near the Fern Dell entrance that emerges a quarter of a mile later near a children’s playground. The path follows a modest stream surrounded by a startling explosion of lush and exuberant tropical vegetation. The habitat evokes in me a sense of magical realism as though I’m slipping into the imagination of Gabriel Garcia Marquez—a world of exotic greens with enormous elephant ear leaves and Dr. Seuss-like trees with bizarre tufts and snaking branches. It is a place of natural wonder. Eamon and I held hands as we explored the magical landscape. We walked in silence, and Eamon was unusually quiet and still. Can a 2-year-old be contemplative? I commented quietly that I really liked this place. Something about being cloistered in this natural setting made us feel good . . . made us feel happier! And I know it made us both healthier. People have long recognized this phenomenon, intuiting that nature has some kind of mystical healing power—and scientists have been working to verify these benefits and figure out what causes them. What does contact with nature actually do for us? 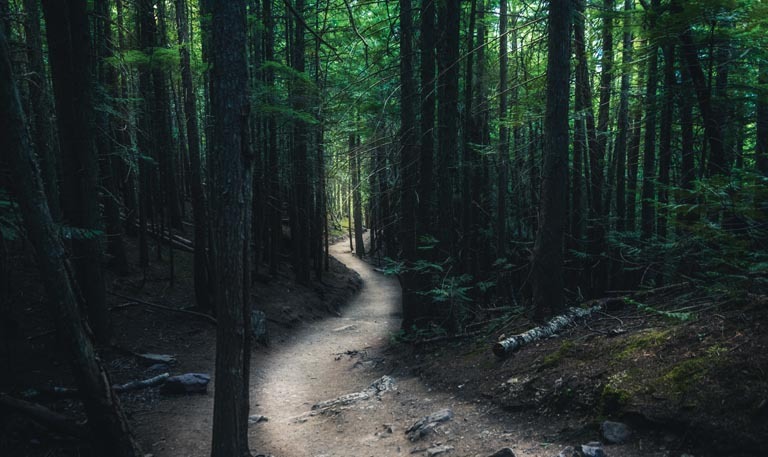 Perhaps it’s simply soothing to get away from what Wordsworth called “the fever of the world.” Researchers at the University of Exeter Medical School found that people living near green space reported less mental distress. Dutch researchers found a lower incidence of 15 diseases in people who live within a half mile of green space. These diseases include psychological conditions like depression and anxiety, but also physiological conditions like heart disease, diabetes, asthma, and migraines. Richard Mitchell, an epidemiologist at the University of Glasgow, was skeptical until he did his own large study and confirmed that people who live near parks and other green spaces had lower rates of death and disease. Interestingly, Mitchell found that just being close to nature was enough. People benefit from parks and green spaces even if they don’t use them, and lower income people seemed to gain the most benefit. For city dwellers, Mitchell found, being close to nature is a great social leveler. Proximity to Griffith Park enables Eamon and me to indulge in what the Japanese call “forest bathing,” shinrin-yoku. Formal forest bathing in Japan involves trained therapists who guide guests through the sights, sounds, and scents of a forest. But anyone can forest bathe by simply spending time in the woods. Strayer’s hypothesis is that being in nature changes the balance of activation in the brain, ramping up certain networks while dampening others. He is conducting experiments to see if people’s brain wave patterns change when they are in nature. Korean researchers have shown that urban settings and nature scenes activate different regions of the brain. Cityscapes tend to trigger the amygdala and fight-or-flight-or-freeze brain networks. Natural scenes activate areas associated with empathy and altruism. One brain state associated with nature is awe. Awe is an interesting emotion. It stimulates a sense of personal humility in the face of natural wonder and grandeur. Awe diminishes our sense of self and contracts our ego while connecting us more deeply with . . . something larger. The first astronauts who were able to glimpse our planet Earth from outer space say it was a transformational experience. Perhaps the awe we feel in nature frees us from petty personal concerns and connects us to the larger flow of natural life. Whatever the mechanism, my moments in nature with Eamon are golden, and I believe they’re essential for both of us. The embrace of nature and the squeeze of a grandchild’s hand reconnect me with the awe and wonder of being alive. Michael C. Patterson, founder and CEO of MINDRAMP Consulting, writes extensively on the art and science of brain health and mental flourishing. 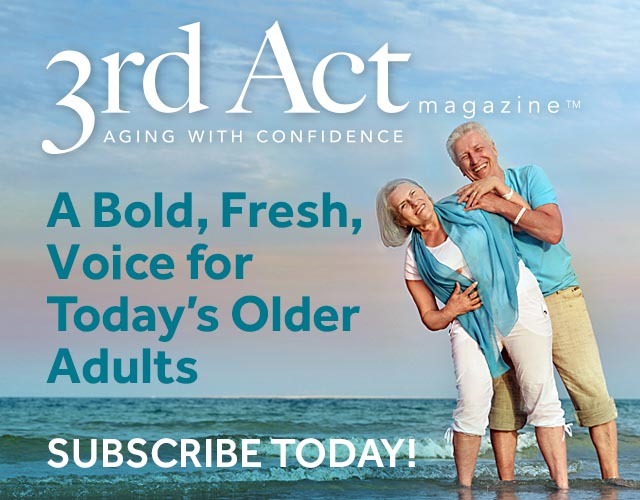 He is an educator and consultant who previously managed AARP’s Staying Sharp brain health program and helped develop the field of creative aging. Wow! So well captures both the research and the “awe” of being in nature!